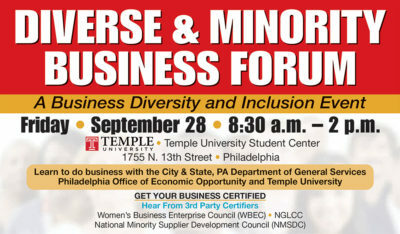 State Senator Sharif Street in partnership with Deputy Secretary Kerry Kirkland, PA Department of General Services and Iola Harper, Deputy Director of Commerce for the City of Philadelphia’s Office of Economic Opportunity will host a Diverse & Minority Business Forum on Friday, September 28, 2018 from 8:30 a.m. to 1 p.m at Temple University Student Center. 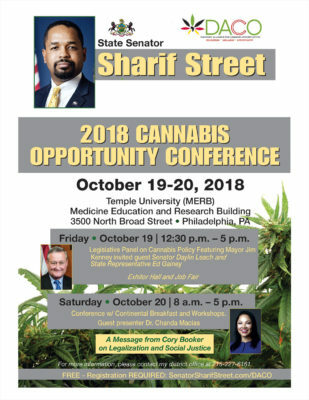 State Senator Sharif Street & Diasporic Alliance for Cannabis Opportunities (DACO) are hosting the 2018 Cannabis Opportunity Conference. The event will be held on October 19th & 20th from 8 am - 5 pm at the Temple University Medicine. Friday • October 19 | 12:30 p.m. – 5 p.m.
Saturday • October 20 | 8 a.m. – 5 p.m. 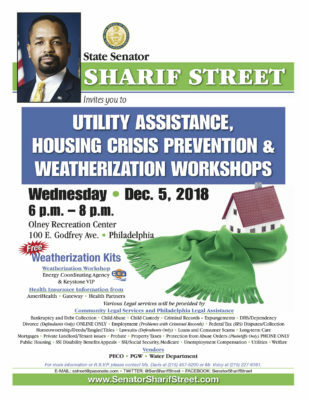 Please join me on December 5, 2018 for a Utility Assistance, Housing Crisis Prevention & Weatherization Workshop at 6 p.m. at the Olney Recreation Center. For more information or R.S.V.P. 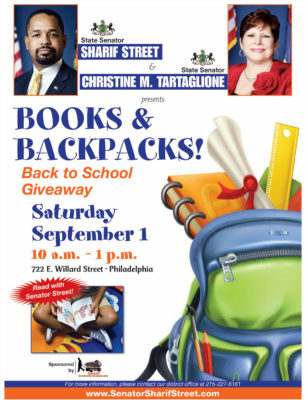 please contact Ms. Davis at (215) 457-5200 or Mr. Volcy at (215) 227-6161. Please join me on December 6, 2018 for a Utility Assistance, Housing Crisis Prevention & Weatherization Workshop at 5:30 p.m. at the Edward T. Steel Elementary School. 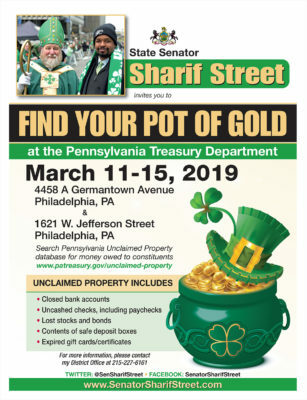 State Senator Sharif Street invites you to Find Your Pot of Gold at the Pennsylvania Treasury Department March 11-15 at my district offices! Search Pennsylvania Unclaimed Property database for money owed to constituents www.patreasury.gov/unclaimed-property. 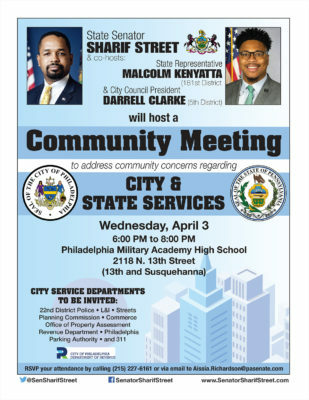 State Senator Sharif Street & co-hosts State Rep. Malcolm Kenyatta and City Council President Darrell Clarke host a Community Meeting to address community concerns regarding city and sate services. 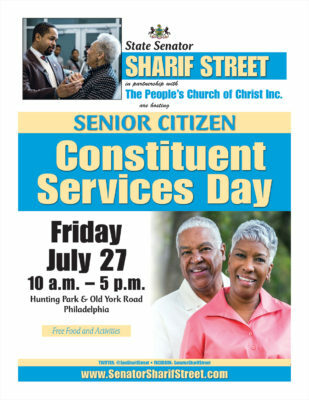 RSVP your attendance by calling (215) 227-6161 or via email to Aissia.Richardson@pasenate.com. 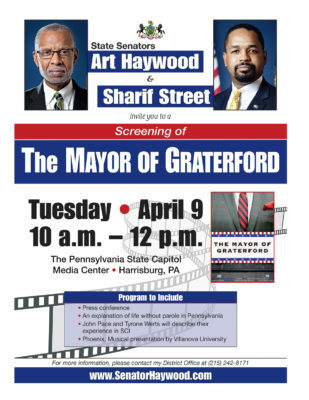 You're invited to attend a screening of The Mayor of Graterford, a film which follows the lives of two men who were sentenced to life without parole and released. 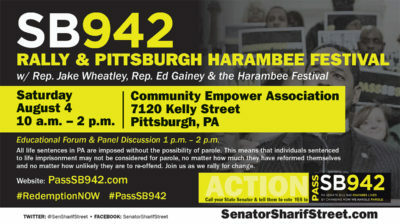 We encourage you to attend the film screening on Tuesday, April 9, 2019 from 10:00 a.m.-12:00 p.m. in the Media Center at the Pennsylvania State Capitol exploring the history of ‘Life without Parole’ in the commonwealth. The program will include a brief press conference with the two men, John and Tyrone, and the filmmakers from Villanova University. John and Tyrone will be present to tell their stories about how they ended up as inmates and what they have done to overcome their time in incarceration as well as highlight the human potential within our correctional facilities.